When this review was first posted on The Site That Shall Not Be Named, I spent far too many words on reacting to the reviews of others. Of all the reviews I’ve written it’s one of two I lamented most. The other does not bear rewriting here because the less thought spared to that film the better. However, with this film seeing as how I was trying to write a minority, albeit not staunch defense of it; I failed that aim by trying to counter arguments. Unless, entirely relevant I dislike comparative analysis of films as a shortcut to writing a review. If that’s the aim it should be a separate piece. Argumentative points or analysis of mass reaction are made for op-ed pieces not an appraisal of the film itself. Therefore, I present to you now an edited version of that review which internalizes, and distills it all to what I thought of the film and nothing else. This isn’t a complicated movie and moves briskly. A film can have a slow pace if that is the appropriate pace for the narrative being told, this film works with the pace it has and does not seem to be extraordinarily quick-moving and there are peaks and valleys in the emotional ebb. I never saw the TV show. I don’t care if I do but I liked this. One can have a preference for one or another but ultimately a film is its own work. How much it used or discarded of the original is ultimately a debate that’s academic, and ought not affect one’s interpretation of what is presented. On that note there was a flashback I was begging Shayamalan for early on the film and it was delivered at the climax and it was better and more well-placed where he put it and quite emotional. So sometimes he does know best. One of the more enjoyable elements of the film was that it was a essentially a simple through-line which was not burdened by unnecessary complications just necessary information. The effect of the performances on the film overall, as is the case with most motion pictures, is nominal. 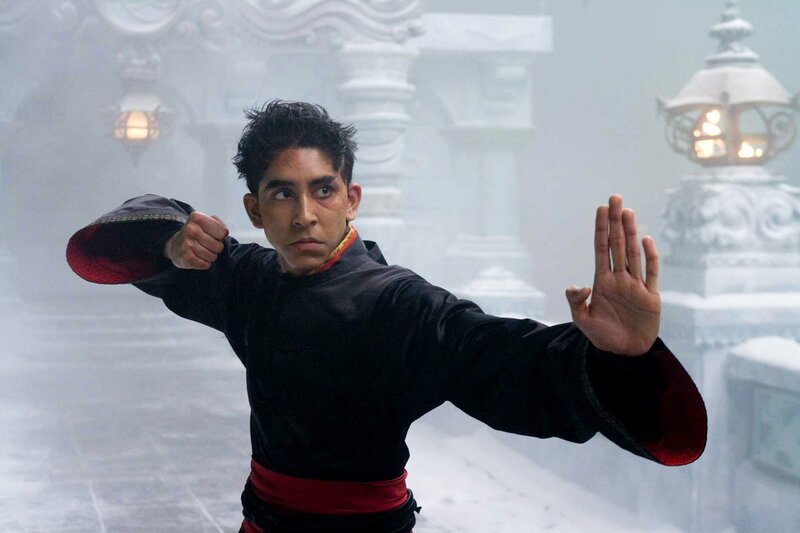 It’s true Jackson Rathbone is better in Twilight than here but there are some cornerstones here like Dev Patel and Shaun Toub. 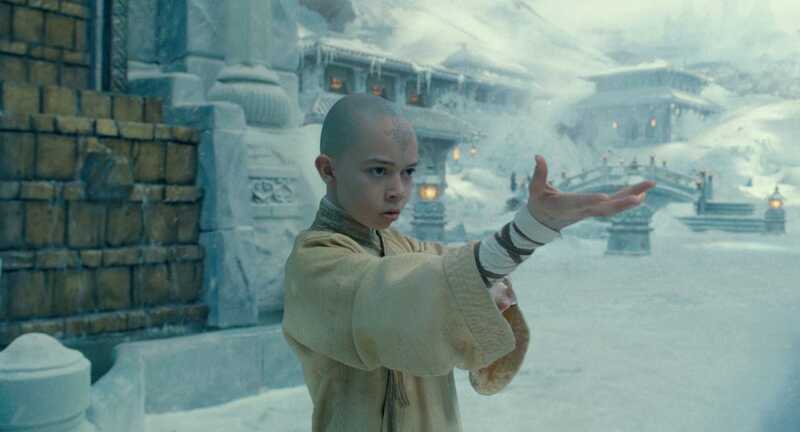 Meanwhile, the protagonist, Noah Ringer, isn’t asked to carry too much of the load. Most of the time he is “bending” (performing martial arts) as opposed to speaking. Should the series continue he will be able to develop his acting skills not unlike the Harry Potter cast who were very raw and unpolished when they started. As for the 3-D, it wasn’t shot in 3-D, so don’t watch it in 3-D. I saw it in 2-D and it looked fantastic. All you really need is good cinematography, which this has and the production design is absolutely out of this world in its splendor and brilliance. Philip Messina deserves special recognition for his work here (Note: in December I will likely cover some BAM Awards oddities through the years. This was one of my more lamentable snubs). 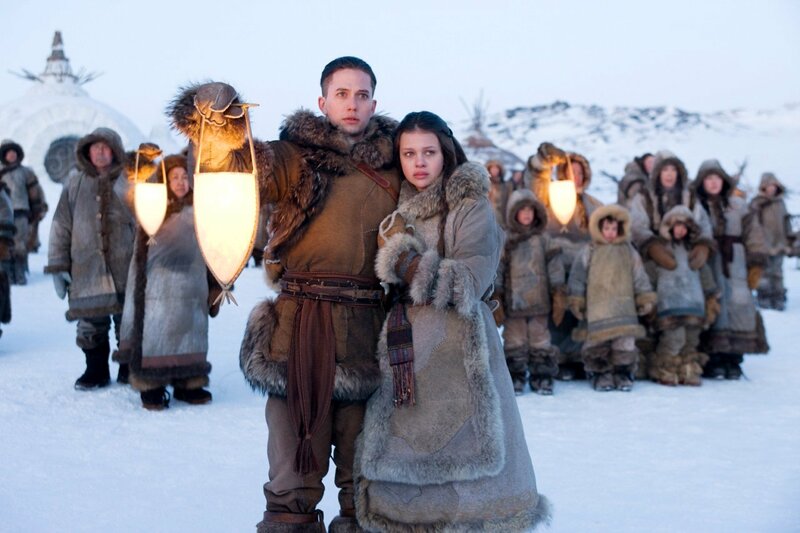 The same goes for Judianna Makovsky’s costumes. The score, as is typical for James Newton Howard, is wonderful. What I liked here is that you saw M. Night Shyamalan go to a different place. I first became an admirer of his after seeing the vastly underrated Wide Awake, which was actually his second feature. After he did the The Sixth Sense and it was one of the biggest sleeper hits of all-time the burden of expectation fell on him. While he enjoyed(s) making “feature-length Twilight Zone episodes” it became kind of a game. “What’s the twist?” or “What did you think of the twist?” as opposed to “What did you think of the movie?” About the only thing I did appreciate about The Happening was the fact that he tried to monkeywrench his own formula and deliver a tale with no easy answer. As is the case with many works of fiction like that it’s hit-or-miss. Here he finally bit the bullet and went on a full on departure and for the most part lost himself in the story and didn’t make it your standard Shyamalan aside from the expected cameo, which is a lot less subtle and welcome than the “Find Hitch” appearances he is referencing. Overall, though flawed, I thought it was a successful step in a different direction for the director (Note: mind you this was his first feature after The Happening. This is a post for the William Wellman Blogathon hosted by Now Voyaging. 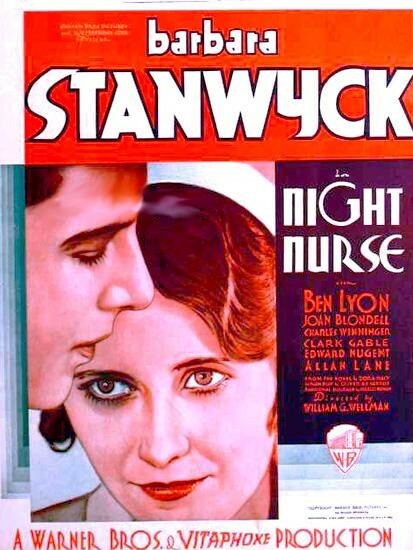 Night Nurse is a film that I would not have heard of if not for my reading Pre-Code Hollywood. Having read that I decided to get the Forbidden Hollywood volume that featured the highest number of intriguing-to-me titles on it. 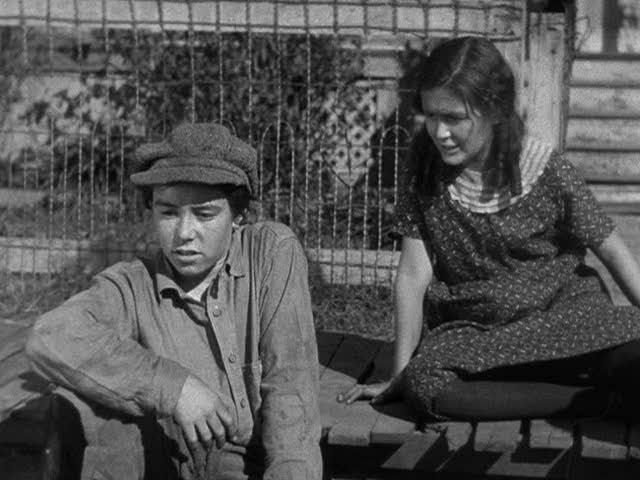 One of the foremost of those films to seek out was Night Nurse directed by William A. Wellman. This unusual man had the nickname of “Wild Bill,” which was pinned on him while he was a World War I fighter pilot in the Lafayette Escadrille, the elite group of American aviators who flew under the French flag before our U.S. Army Air Corps was formed. I believe his nickname was earned because of his daring exploits in the air and from his equally foolhardy antics at the squadron bar after fighter planes were in the hangar for the night. Wellman was credited with being an ace with this group and the war time experience gained there stood him in good stead when he later directed the blockbuster aviation film Wings. He broke into motion pictures as a juvenile actor working in The Knickerbocker Buckaroo with Douglas Fairbanks in 1915. From that single acting role he knew he wanted to be a director. He then went to work for the Fox company as a property man and worked himself up to the position of assistant director in a period of four years. B.P. Schullberg, then producing independently for Paramount, gave him the first opportunity to direct. The multitalented man also directed such diverse films as So Big with Barbara Stanwyck and The Call of the Wild with Clark Gable, Loretta Young, and Jack Oakie. In 1937 he wrote and directed the first, and I think by far the best, production of A Star is Born. This was the version that starred Janet Gaynor and Frederic March, for which Wellman won the Academy Award for his collaboration on the original story. Wellman had a way of looking right through you, with one eyebrow cocked, as he directed, yet at times he could be very tender. In many ways he reminded me of my early days director hero, Marshall “Mickey” Neilan. So Wellman, albeit for a short while, was a young actor which is interesting to note as in both his credited and uncredited work he did direct children on a few occasions: the aforementioned The Public Enemy, Night Nurse, Wild Boys of the Road, Viva Villa, and The Adventures of Tom Sawyer, to name a few. Also interesting to note was that his final film was Lafayette Escadrille. Fitting. The uninhibited Night Nurse is the most cynical of the pre-Code excursions down hospital corridors. Directed by William Wellman from the novel by Dora Macy, the medical melodrama follows the rounds of spunky nurse Lora Hart (Barbara Stanwyck), who uncovers a plot by a wealthy society doctor to starve two children to death in order to seize their trust fund. Along with evil chaffeur Nick (Clark Gable, clad in black), the doctor keeps the mother hopped-up on drugs (“I’m a dipsomaniac and I like it!”). Medical ethics are elastic: Lora first meets her bootlegger beau Mortie (Ben Lyon) in the emergency room and agrees not to report his bullet wound to the police. At no point does a cop or judge appear; at no point does it occur to anyone to turn to the authorities for justice. The single force for moral order is the likeable Mortie, the bootlegger, who in the last reel nonchalantly informs Lora that Nick “has been taken for a ride.” The startling coda repays the montage that began the film, the screeching sirens of an ambulance rushing a dead-on-arrival victim to the emergency room. The supine passenger is Nick, the chauffeur, his capital punishment administered not by the law but by the criminal. Night Nurse is more concerned with telling a story that’s one where the lesser-of-evils wins out, than some of its more Male Gaze-focused lascivious scenes. But much to the chagrin of the Code crime does pay and the justice system is scoffed at to an extent. The bootlegger becomes and aid to rescuing the children. One of the final ticking clocks in this very brisk film is the need to get the endangered children a transfusion. This the nurse takes upon herself after finding serious lack of ethics and immorality in the medical profession thus far counterbalanced by exaggerated bureaucracy. As dour as this film may seem it’s counterbalanced by the innocent hero who still believes in justice and doing what’s right regardless of the circumstance. She’s however not a stickler for the rules, going back again to her meeting the bootlegger. Even in the film’s opening montage, after a POV shot from the inside of the ambulance, is a tracking shot around the inner-workings of a hospital, it’s a true melting pot where people of all walks of life including a Chinese family wherein it seems only their boy speaks English. It sets out from the beginning to tell a small story of greed (an anti-capital slant during the Depression, especially in the Pre-Code era was not unusual) wherein good can triumph in the often seedy societal tapestry portrayed. In Wellman’s crowded 1931 filmography (five, count them, five releases) this film and The Public Enemy were consecutive titles. So not only are Coghlan’s insights from around when this film was made but they make an interesting pairing as they tell a tale of the underworld in a society turned on its head. The moral ethical dilemmas here are more prevalent but the criminal activity is still present.